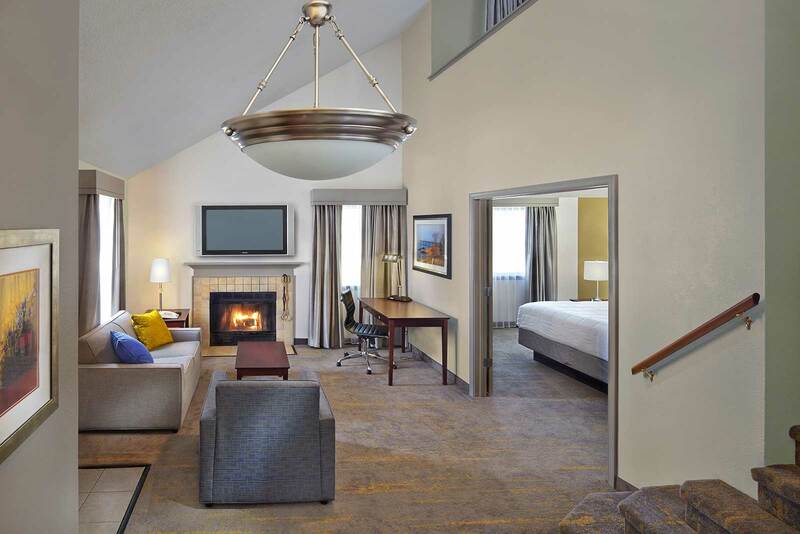 With a private exterior stairway access, our two bedroom hotel suites are comprised of very spacious 1,200 square feet of hotel space. All Lofts are located on the second floor with access by an exterior stairway. 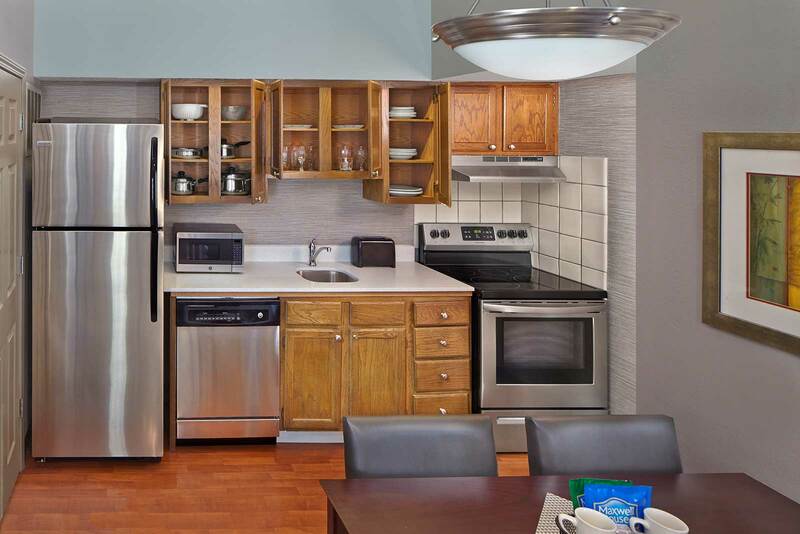 Our Two Bedroom Lofts are well appointed and designed for business or leisure travelers. These two bedroom, two bathroom loft-style suites have a residential feel and offer almost 1200 sq ft to stretch out in. 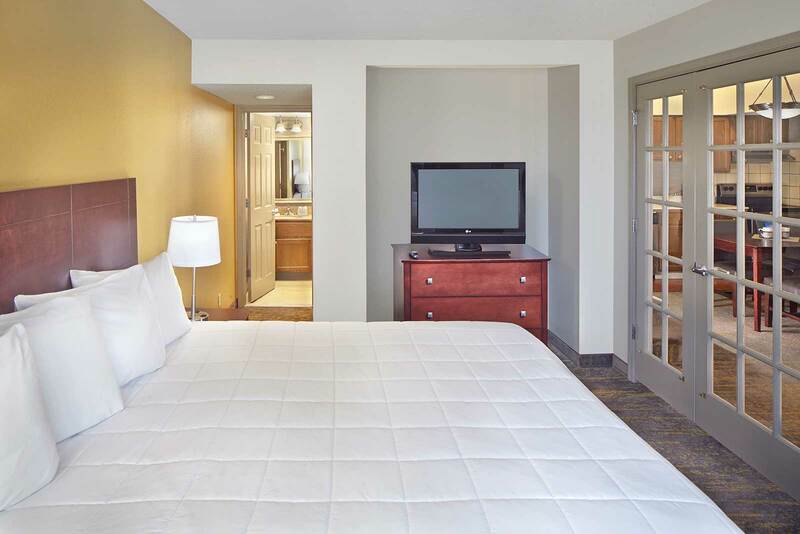 Each suite was totally redesigned and refurnished in 2018 allowing our guests to feel the comfort of home while in New Haven. 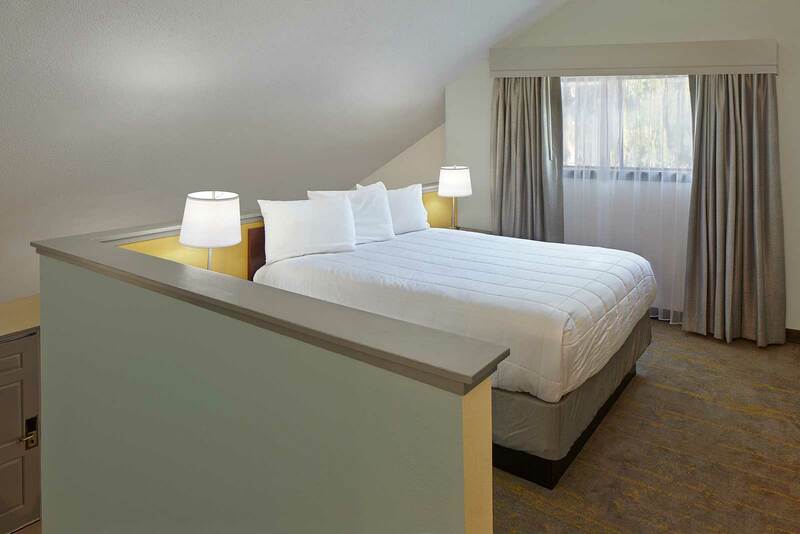 Lofts offer a queen sized bed loft room with separate bathroom on the top level and a king sized bed and full bath on the first level each with a luxurious pillow-top mattress and crisp white linens. The living area includes a comfortable sofa which is also a sofa bed, a table or desk for a large work space, a 32 in flat screen HDTV with cable and free high speed Internet access. 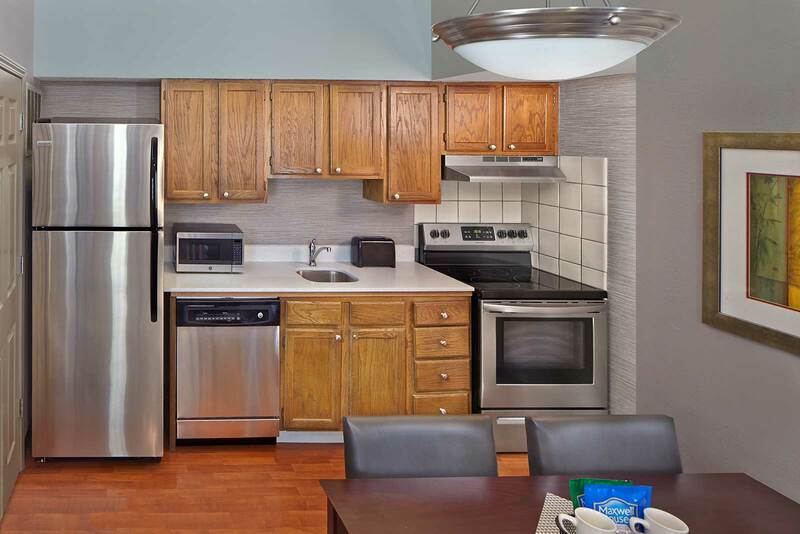 There is a full-size kitchen including refrigerator, microwave and cook top and full oven. 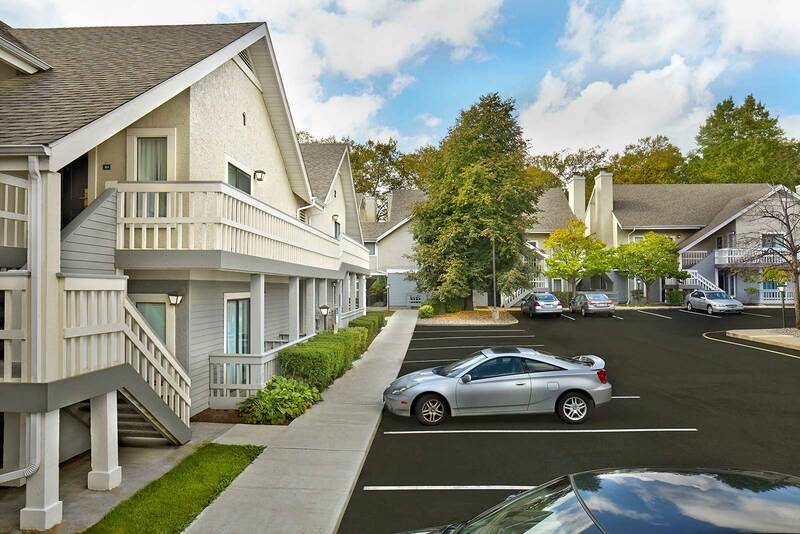 All Lofts have a working fireplace and include a complimentary hot daily breakfast buffet and an evening reception on Monday-Wednesday served in the Clubhouse, coffee and tea maker, hair dryer, iron and board. 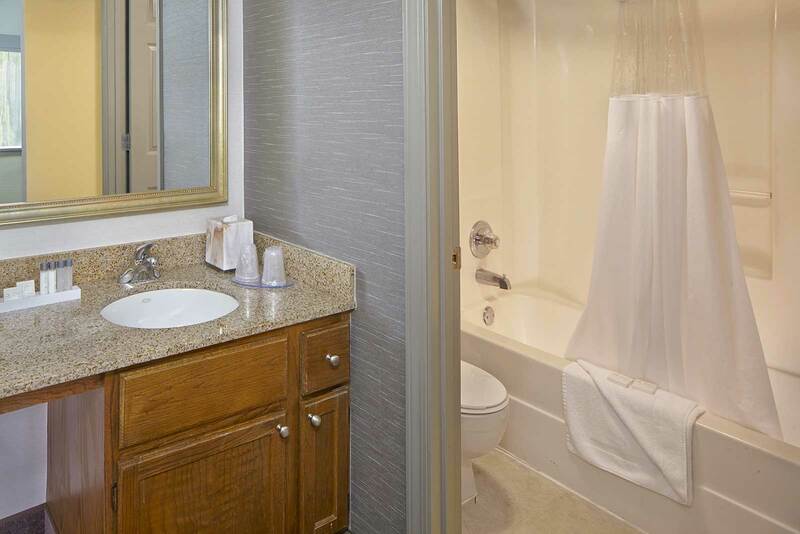 Every feature is thoughtfully placed to make the experience at New Haven Village Suites a memorable and comfortable one in the 100 percent tobacco-free environment.